It’s no secret that one of my favorite Gilbert destinations is Villari’s Family Centers of Higley. Affordable places to hide from the sun are hard to find and you can only swim so much. 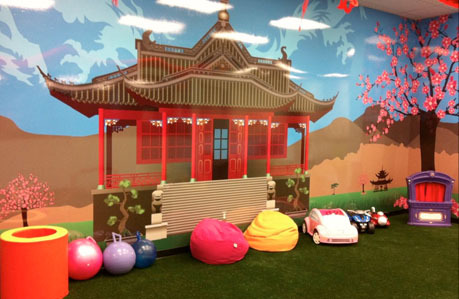 part of playroom for younger kids and babies, super cute! Have your friend group of 20 kids come to Villari’s and play price discount of $5.00 a child. Take a class–Villari’s martial arts studio is close to home and priced competitively. Summer Camp — great mix here. I trust the staff, good balance of structured and unstructured playtime, science, arts, exercise, friends, fun and did I mention this place is spotlessly clean? Treat yourself–having a tough day with the kids? I was running out of gas but the boys were going full steam on Thursday. We dropped by for playtime, and stayed for 2 hours. That was easy. Throw a birthday party They have a great special, $75.00 off a party. We went to one today, great time. Lots of space, the awesome staff, good food and tons of extras. Great value and the kids had fun. 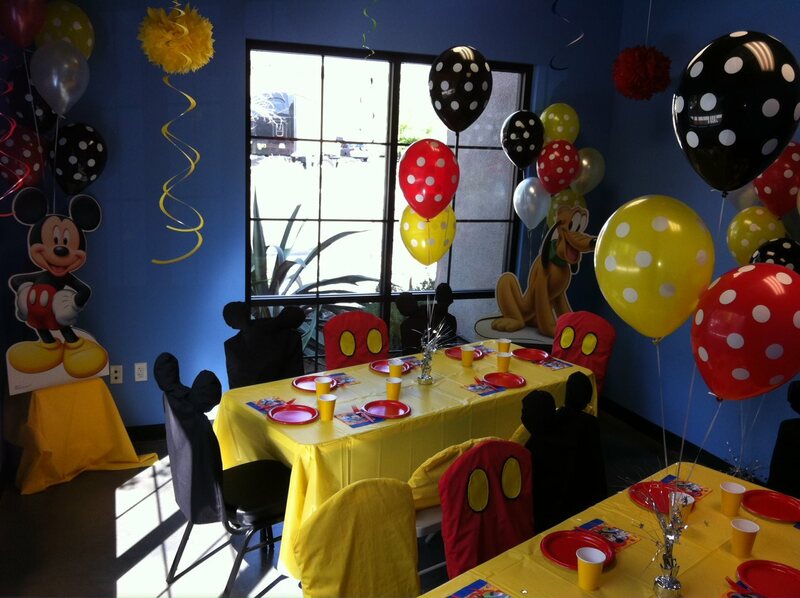 Birthday party rooms can be themed out almost any way. Always cute and creative! I’ve heard you talk about it, but I don’t know where it is? Villari’s is behind the Fresh and Easy at Higley and Ray in Gilbert. My kids ask to go back to Villari’s because of the staff in the play place. They love the attention when they play games. I love it because it’s clean, affordable, has wifi and I can get a guilt free break! 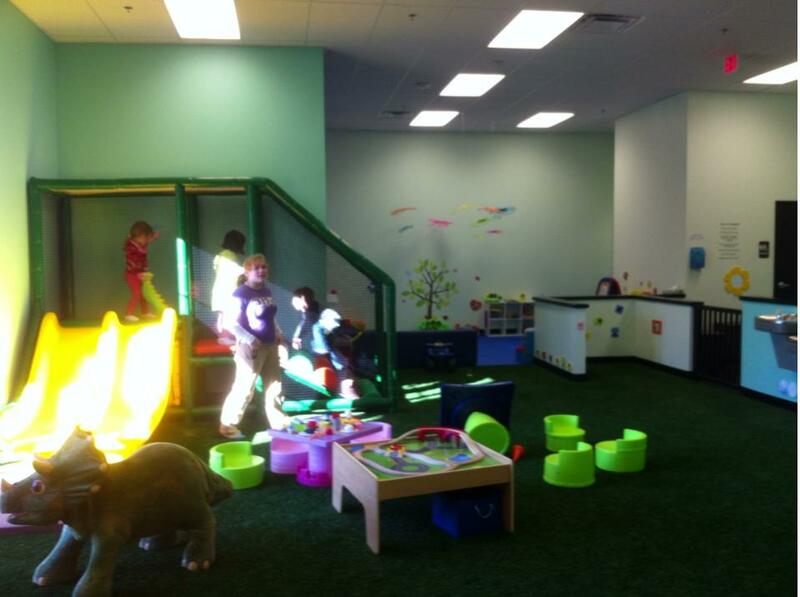 The playroom is huge. This is one part, I love the wall art. 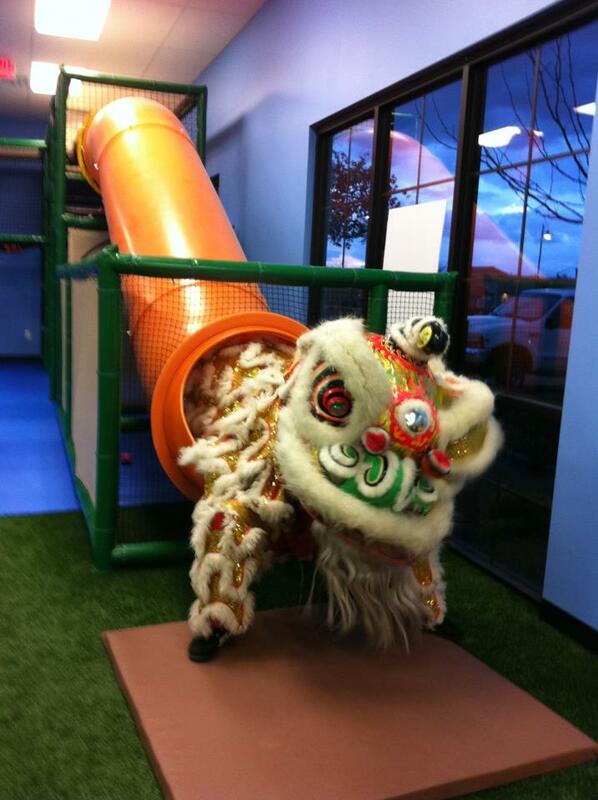 And I love when my kids pop out of the play place for a drink they are flushed and sweaty. While I sit and catch up on work or read (counts as work right? ), my boys have blast climbing, running, playing ball. We visited on Chinese New Year, it was awesome!! My kids got their culture on and I didn’t have to craft anything amazing from Pinterest! Win!